Double Argentinian champion Néstor Girolami to join Prince Carl Philip in the season finale of the 2017 Swedish GT championship at Mantorp Park this weekend. 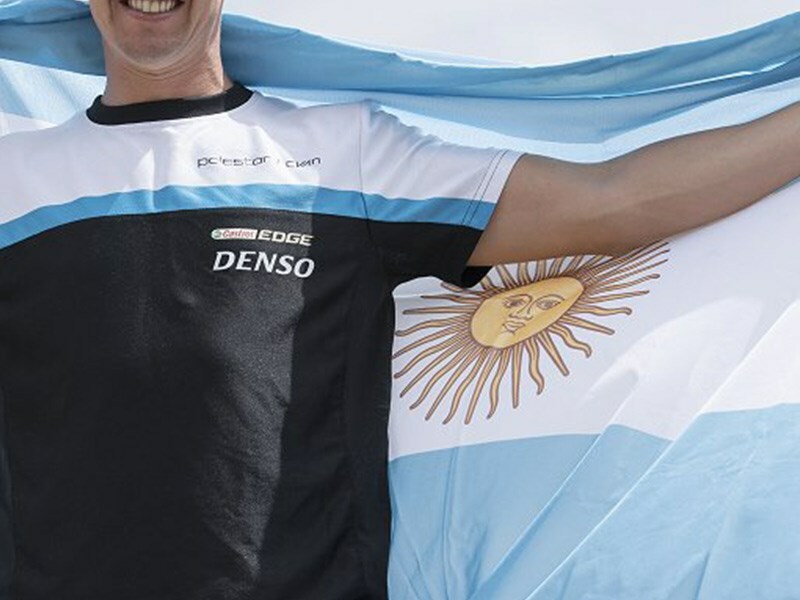 Girolami, driving for Polestar Cyan Racing in the 2017 FIA World Touring Car Championship, has claimed two titles of the tough Super TC2000 championship in Argentina but has a challenging task ahead at Mantorp. “I am very happy to get this opportunity and I will of course give my best to help Prince Carl Philip in the season finale – always a special race in a championship. It will not be easy as the track and car are new to me, but I am used to adapting quickly. I hope that together we can score at least one podium finish,” said Néstor Girolami. A difficult weekend at Anderstorp two weeks ago has reduced Prince Carl Philip to only mathematical title hopes, as he is 47 points behind the championship leading Ferrari duo of Fredrik Larsson and Ingvar Mattsson, with 50 points left to be fought for. ”I was thoroughly disappointed after the weekend at Anderstorp as we were in for a podium finish in both races. But I have full focus on scoring the best possible result in both races at Mantorp and don’t now pay too much attention to the championship situation,” said Prince Carl Philip. Prince Carl Philip is placed third in the championship, just two points behind Audi R8 LMS Ultra driver, Jan Brunstedt. ”This season has been a big change for our team in Sweden, going from sprint to endurance racing. Prince Carl Philip has obviously done a good job, having won several races and is in the fight for a top three position. We always aim to win every race and every championship, but I still think this season has brought us many good things for the future, no matter the outcome at Mantorp,” said Alexander Murdzevski Schedvin, Head of Motorsport at Polestar.